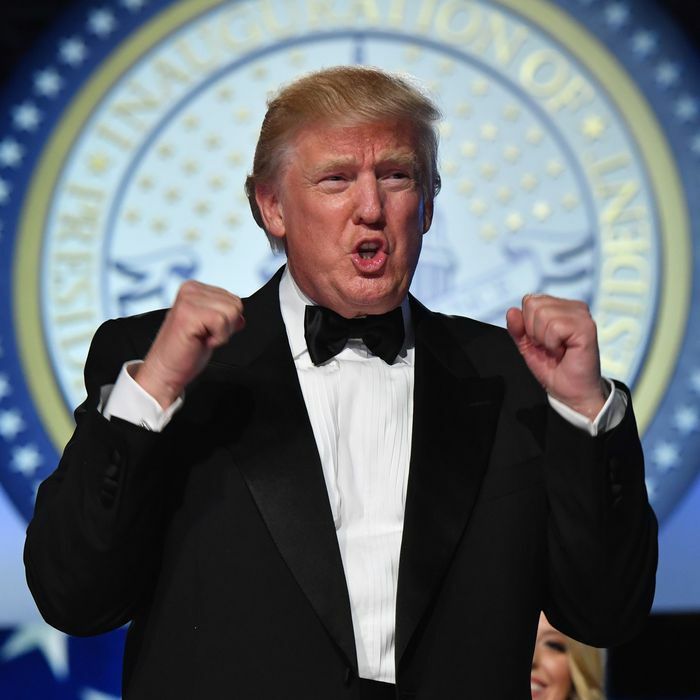 If there was some lingering hope among Republican professionals that Donald Trump would somehow, as the old cliché has it, “grow” into the office, his first 48 hours as president dispelled it immediately. The White House is already jittery with fright at the unpredictability of a childlike figure who has been handed terrifying powers, like the famous Twilight Zone episode about a 6-year-old-boy with magical abilities. The evidence for Trump’s unfitness for office comes from Republicans themselves, who discuss the president in the most patronizing terms. The managerial catastrophe begins with the fact that Trump knows extremely little about public policy. Because he knows so little about government, Trump gives incoherent or contradictory statements that leave even his allies confused about his beliefs. “Senior Congressional Republicans have privately told several people that Trump seems to have no clarity on where he stands on many issues,” reported Maggie Haberman recently. Many of them simply dismiss his statements as empty puffery. After Trump said he would cut regulation by 75 percent, one Republican member of Congress told John Harwood, “[T]hat’s Trump just making a large number.” There is little prospect this will change, because Trump lacks the attention span to read anything of substance. Something as long as a book is out of the question. Even memos strain his mental capacity. Trump is committed to reading as little as possible. This is not an insult. “As little as possible” is Trump’s own account of his reading habits. “I like bullets or I like as little as possible. I don’t need, you know, 200-page reports on something that can be handled on a page,” he tells Axios. This, again, was not a political rally but a speech to CIA officers. He used the occasion to tell rambling fantasies about his crowds because he could not contain the massive wound to his ego. Oliver Wendell Holmes famously summed up Franklin Roosevelt as a second-class intellect but a first-class temperament. Trump has a third-class intellect and a third-class temperament. The frightening surreality of what has happened to the United States has only begun to sink in.